Hallo Want to learn a language? 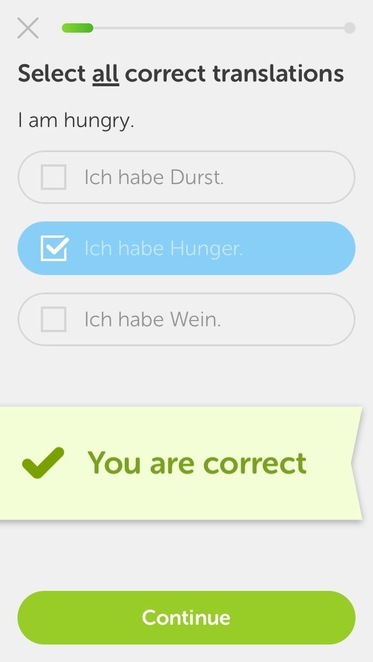 Guten Tag! Ich bin Sam. There is just something fun about speaking a language other than your first language isn't there? Last year I visited Germany for the second time and it really deepened my love for the rich culture, beautiful cities and architecture, the remarkable rolling mountains...oh and I can't leave out the beer and amazing food! All pretzels should be this big! I could see myself living there, spending my days exploring the cities and evenings exploring the lively nightlife. However, there is just one little problem. Despite my strong desire to pack up and jet off to Deutschland, I could not speak a lick of German. When I arrived home I told myself I would learn the language, but somehow the days rolled on and quite frankly I didn't have the motivation, so other things took top priority . When 2015 came about I decided I would make it a resolution to take a class. Unless I scheduled it in, it really wasn't going to happen. Sydney offer quite a few language classes, but due to timings with work I decided to take my class at the Centre for Continuing Education (CCE) which is based at the University of Sydney. CCE offer a range of classes from beginners to advanced. You can choose to do the beginners 101 class as a weekend class or a week night class, with options to complete it in a shorter period, doing classes twice weekly. For the beginners class you are looking at $295 for a 20 hour course. The classes are relatively small with a maximum of 20 people encouraging a great learning environment. The class provides you with a basic understanding of the language, to help you understand how to use words appropriately, with correct grammar and ensuring you are stringing words together in the correct context. It was a really fun class to get started and to meet other people. For me it really helped boost my confidence speaking the language. I was quite scared to even try to speak in German in fear I was mispronouncing or putting the wrong accent on the words. The classes were great because we were all beginners and everyone were making mistakes. Having a teacher who was born and raised in Germany was great too as she could explain to us not only about the language but also the culture. These are only two ways to go about learning a language but there are so many options! Youtube, books, and a range of websites provide you with free language classes. So why not step out of your comfort zone and learn a language today.